Riana is a certified Relationship, Love & Life Coach, Best selling author, motivational speaker, and host of her own TV show: Lessons in Life & Love. 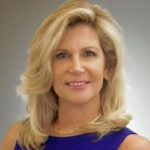 she’s a Licensed Mental Health Counselor and Certified Addictions Professional in private practice for 16 years at Therapy by the Sea LLC in Delray Beach, Florida. Her best-selling books: LOVE Beyond Your Dreams – Break Free of Toxic Relationships to Have the Love You Deserve and LIVE Beyond Your Dreams – from Fear and Doubt to Personal Power, Purpose and Success, address how to overcome difficult life transitions through Conscious Living and developing a Positive Mind-set; as well as learning to attract and have emotionally healthy, evolved relationships with yourself and others. Riana is a newspaper columnist and offers a free mobile app for Apple and Android devices called, My Relationship Coach; as well as provides coaching programs for single men and women seeking to find love (From Dating to Mating) and for couples hoping to fix love, (Relationship Rescue).